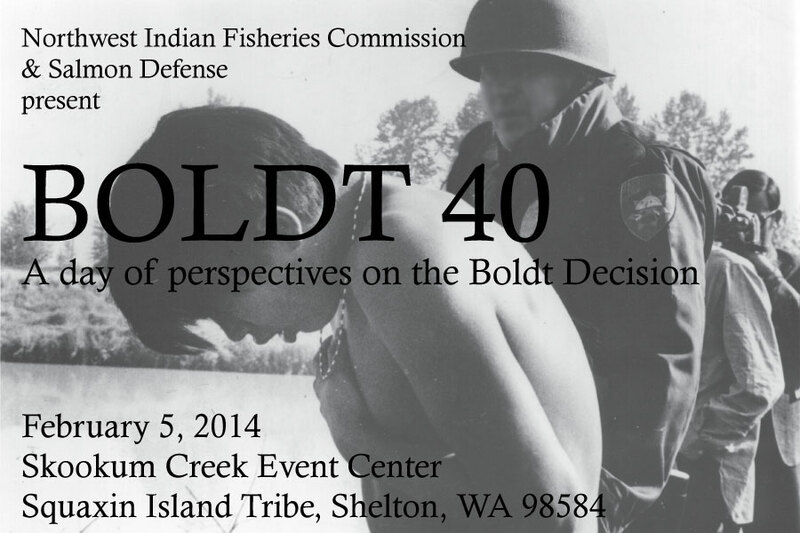 “Boldt 40″, a day of perspectives on the Boldt Decision, on February 5, 2014, 10 am-4pm. More information will be posted at http://boldt40.com . This entry was posted in Events, Raven views and tagged “Boldt 40″, Billy Frank Jr., Fish Wars, Hank Adams, Northwest Indian Fisheries Commission, Robert Satiacum, Treaty Rights at Risk. Bookmark the permalink.